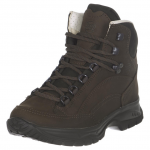 You can hike in style and comfortable with these leather, classic, "out of time" boots! The grip, the padding, the stitches scream "the very best" for your comfort while you stroll away elegantly! Hiking in a timeless, elegant, way! I love to hike and spend time outdoors as often as I can, so finding a good pair of leather boots (I’m mostly all about the leather, with few exceptions) is quite a challenge- I only like the very best and I take no seconds! I was interested in a pair of boots that are versatile, look stylish and out of time, still providing comfort while hiking or walking. This model is especially created for women and the design is low profile, sleek and elegant. The boots are made of leather and there is double stitching everywhere- the boots are durable and will outlast me, for sure! The Vibram outsole gives support, comfort and it’s stitched to the leather and the synthetic wool uppers. The footbed is topped with leather but also has 5mm cushioning, which can only mean one thing: the boots get softer as you wear them and mold to your foot in time. And they are comfortable, of course. The synthetic wool panels are both stylish and functional as they relieve the extra weight and give protection to the high ankle. When it comes to ankle protection, these boots are great and the soft-calf leather collar does a good job on the upper ankle. The plush tongue and the heel padding add comfort and I can wear these for hours and still feel no pain. The underfoot padding also helps with the comfort, by the way. Even though the boots are made of leather, they didn’t take much time to break in and trust me when I say that it was totally worth it! 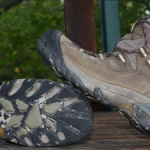 The boots grip well on every kind of surface, no matter how wet, slippery or rocky it might be! 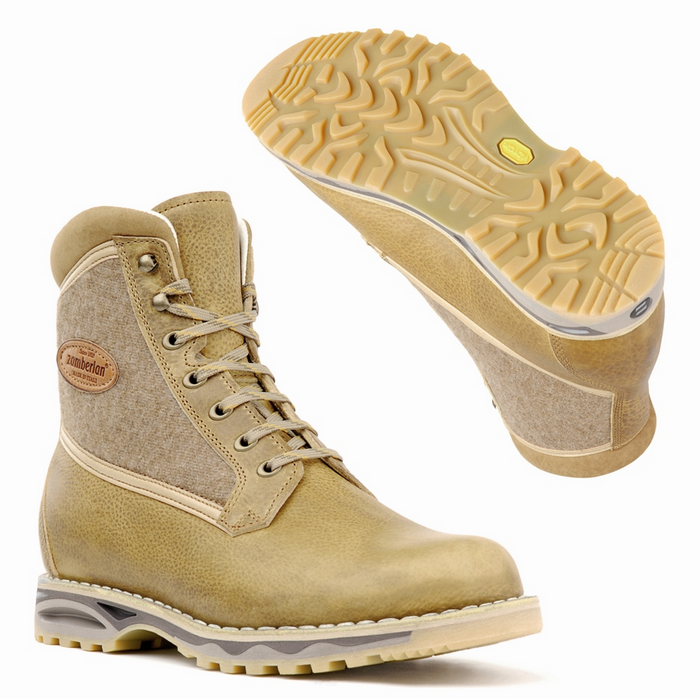 The craftsmanship on these boots is high quality (they are made in Italy) and they are perfectly stitched and built. Another thing to mention is that the boots come with a second pair of laces, in cream color- and the laces are long enough. I didn’t want to have any negative comments about these boots, but they gave me no choice. Apart from the fact that I had go all over the place to find out something about them, I think the boots run a bit too large and too big than their size. They are not for narrow feet, for sure. I wasn’t very satisfied with the insoles, so I had to use mine in the end. Not much, right? I still think these are great for all kinds of outdoor activities, especially hiking and I’m hoping that, 5 years from now, they will be as good as new.